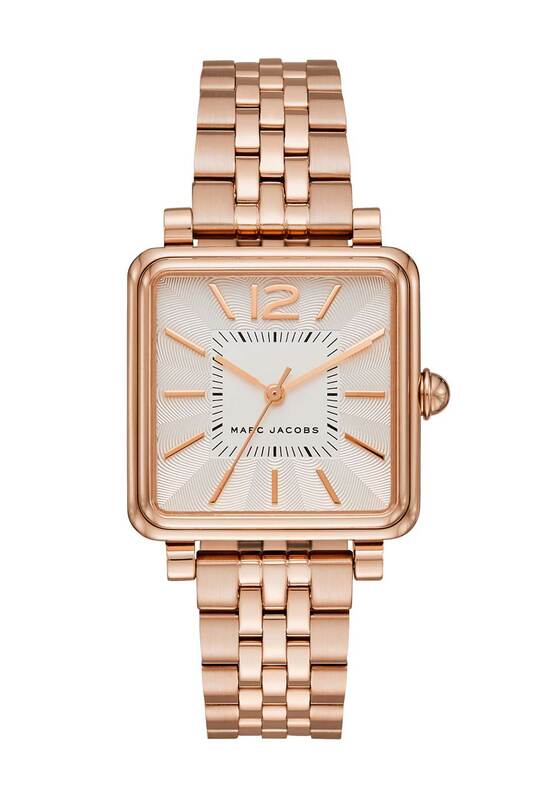 A striking timepiece, the rose gold Vic watch is designed by Marc Jacobs with an eye-catching square case. 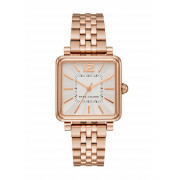 Featuring a slim bracelet strap and metallic face with hour markers and three hands. The perfect way to add a hint of glamour to a daytime outfit.